Dubai-based carrier flydubai has announced during the Arabian Travel Market (ATM) the launch of direct flights to Finland’s capital, Helsinki. The daily service from Dubai International (DXB) to Helsinki-Vantaa Airport (HEL) will start from 11 October 2018. flydubai becomes the first UAE national carrier to operate direct flights to Finland and the first airline to offer a year-round service between Dubai and Helsinki. Arabian Travel market is the largest travel exhibition in the Middle East. 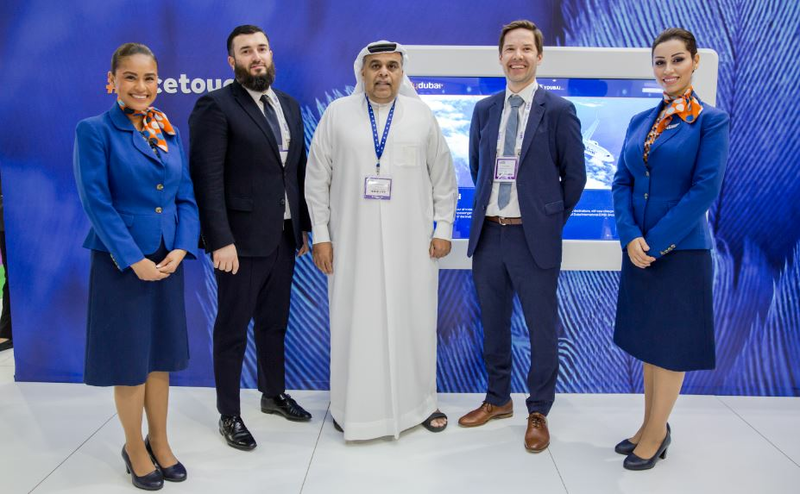 This year, flydubai is participating at ATM for eighth time, showcasing its new Business and Economy Class offering available onboard its Boeing 737 MAX 8 aircraft. To offer passengers more comfort and an enhanced travel experience, the carrier will operate the new route on its brand-new Boeing 737 MAX 8. The new cabin offering features a flat-bed in Business Class and in addition to the extra space and privacy, passengers can sleep comfortably during their flight. Economy Class offers new RECARO seats, which are designed to optimise space and comfort so passengers can sit back, relax and enjoy their flight. flydubai also offers exceptional inflight entertainment with a full HD, 11.6-inch screen, featuring a wide selection of movies, TV shows, music and games in English, Arabic and Russian. In addition, the Boeing Sky interior with its gently-sculpted sidewalls and its smooth-flowing lines provides passengers with a more relaxing travel environment. Emirates will codeshare on the Helsinki route and as part of the Emirates flydubai partnership, passengers from the hundreds of destinations spanning six continents in over 80 countries, including from Far-East and India, will have an opportunity to travel to Helsinki via Dubai. For bookings under the codeshare, Emirates passengers will receive complimentary meals and the Emirates checked baggage allowance on flights operated by flydubai in Business and Economy classes. 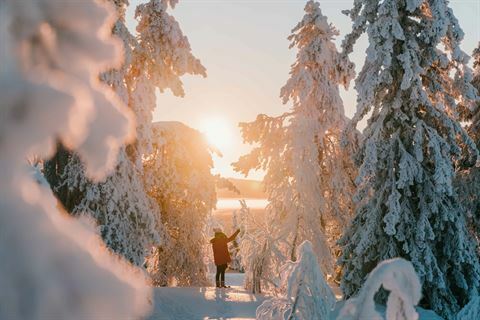 Finland is popular both as a winter destination, offering a unique opportunity to watch the Northern Lights and visit Santa Claus’s home in Lapland, and as a summer destination, with its numerous lakes and forests. Helsinki is perfect for a short break, with a variety of sightseeing attraction including the UNESCO heritage site Suomenlinna, a fortress island which is a 20 minutes ferry ride from the city. flydubai’s route network in Europe includes 27 points in Bosnia, Bulgaria, Croatia, Czech Republic, Finland, Greece, Italy, Macedonia (FYROM), Montenegro, Poland, Romania, Russia, Serbia, Slovakia, Turkey and Ukraine. flydubai flights FZ783/FZ784 will operate daily between Dubai International, Terminal 2 (DXB) and Helsinki-Vantaa Airport (HEL). Business Class return fares from Dubai to Helsinki start at AED 8500 and are inclusive of all taxes and 40kg checked baggage. Economy Class return fares from Dubai to Dubrovnik start at AED 1500 including 7kg of hand baggage. A special promotional fare is available for tickets purchased from 22 April to 31 May 2018, for travel from 11 October 2018 to 31 May 2019. Subject to availability, Business Class return fares will start from AED 5500 and Economy Class return fares from AED 1300.